Discover Camping de la Plage Come discover this exceptional place away from hectic city. The ideal for windsurfing, kitesurfing and walks in a family context. The campground stretches along Lake Monteynard and allows access to Vercors, the Trièves or Matheysine. Here everyone can find a suitable spot: traditional for caravans, wilder for small tents ... or isolated in some cottages, to spend a quiet holiday and in your own time Nearby, all activities of the sailing. 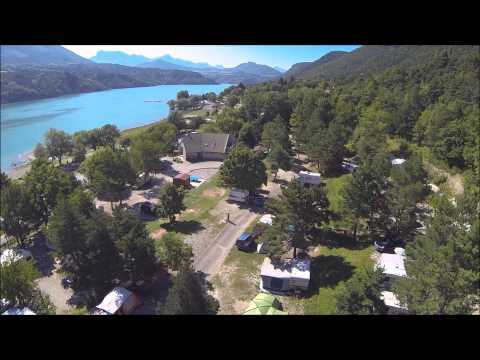 The mobile homes at Camping de la Plage - Alps, Vercors Trièves offers panoramic views of Lake Monteynard and the surrounding peaks. Placed on large plots, they can take advantage of the framework, the nature and friendliness.